Does the economy leave you feeling anxious and vulnerable? Do you find yourself saddled with debts you can barely keep up with? Did you lose your shirt in the last stock market crash, yet you still feel totally confused by the world of investing and finance and are terrified at the idea of managing your own money? Are you thinking you'll never be able to retire, let alone retire comfortably? Each day the media bombards you with information on the economy. One expert says the economy is improving, the next says it's not. One expert says stocks are going up, the next says they're about to crash. Did you know that, according to a recent study, investors who used the services of financial planners through the Crash of 2008 would have come out 5% ahead if they'd made their own investment decisions instead? So Who Am I, And Why Listen to Me? I've been studying history, economics, the dollar and the markets for over 35 years. I started trading currency in 2000 and have since taught hundreds of students from all over the world the principles of successful Forex trading. I've helped to develop automated trading software with the potential to generate in a single year what it would take a bank CD many years to produce. From inflation spiking when I was just getting out of college, to repeated stock market crashes throughout my adult life, from the dimes, quarters and, yes, half dollars in my pocket when I was a kid containing 90% silver, to seeing all of the gold and silver backing removed from our currency, I've lived long enough to see it all. Let me first mention that there are all kinds of nice testimonials on our web site. Here are just a few. I'll let some former students speak for themselves. “Wealth Weekend was absolutely incredible because of the eye opening information presented... Gordon's knowledge, patience, and willingness to help others learn about 'real world' investing surpasses that of an entire college investment course... all nicely packed into one weekend!" 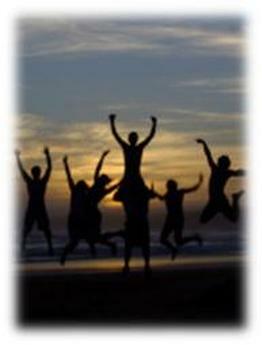 — David S.
"I highly recommend Wealth Weekend. It allows you see your current financial reality right where you are. In addition, this practical and no nonsense approach to getting out of debt and building wealth is nothing that I have heard of anywhere else. We are currently on our way out of debt and at the same time working on controlling our own retirement fund and building our wealth.”— Kathy H.
You might well ask, if you're such a good trader and investor, why bother selling your classes? Why not just live off your investments? That's a great question. The answer is that 99% of Americans have absolutely no idea about the economic tsunamis over the horizon. They're living in the financial equivalent of the movie The Truman Show. I found the back door to The Truman Show many years ago and I can tell you this. When the wheels really come off the economy, the entire American middle class is going to disappear. We're going to see unemployment here in America at levels we're already seeing in Europe where in some countries fully 50% of the population can't find a job... any job. We're going to see the dollar absolutely tank. We're going to see inflation go to the moon. Think gasoline at $10 a gallon and $6 for a dozen eggs. Sooner or later, the stock market is going to do a once-in-a-century swan dive back to valuation levels where it should have been all along if not artificially pumped up all these years by trillions of dollars in manufactured Monopoly money. Whether they believe or not...you have been making money hand over fist, and will continue to do so. So I'm Sitting Here Fully Understanding All of This…should I watch people suffer? Should I keep it to myself? Maybe just tell a few close friends? Is that what you would do? I look around and see so much suffering, anxiety and outright fear about the economy, and I'm going to do what?… sit here and retire? Or maybe I should give it all away for free? Sorry, I'm way too much of a capitalist for that… lol. Besides, would you put any value on anything that's free? Isn't all the information on the Internet already free? I charge private wealth consulting clients a hefty rate. Were I to charge our members the same, most wouldn't be able to afford it — and these are the very people know need this information the most! "Just a quick thank you for the incredible class presentation you gave; I'm very impressed and inspired and excited, and need some time to process all of this...wow! I'm very blessed to be a part of this... I love what I'm learning; it truly gives me hope for a better future!" — Deborah S.
For starters, I am not a guru. Too many investors walk around looking for a guru to plug their umbilical cord into. I don't believe in gurus. Once you fall into the 'guru trap', you let the guru take over and stop thinking for yourself. This can also happen when you hand over your entire life savings and financial destiny to a financial planner and let them do the thinking for you. The problem is, after the next crash, they'll still be in business and you could be left broke. IT IS TIME YOUR LEARN TO BECOME YOUR OWN FINANCIAL GURU! I sometimes refer to myself as a 'financial unplanner'. I prefer to remain independent of the financial planning crowd. I'm a researcher, a market analyst, an educator and a coach. And yes, a total nerd. And proud of it! Nerds have given us electricity, central heating, medicine, space travel, computers, the Internet… even the #1 most indispensable invention of the past 100 years, duct tape! Like an instrument-rated pilot who can land a big airliner in a blinding storm simply by staring straight ahead at dashboard guages the entire time, I make investing decisions using technical analysis to look at charts of stocks, currencies and other markets and see what's actually happening. No disrespect to those gals in short skirts on the TV financial shows, but I really don't care what their parade of experts and authors think. I think for myself. I see people suffering through the same financial patterns, over and over again. They got killed in the last stock market crash, and they'll get killed in the next one. And I don't want to see that happen. “Gordon told subscribers to buy silver back when it was $8. Silver has since gone as high as $50. He told Wealth Weekend webinar attendees in 2006 that real estate was in a massive and dangerous bubble... just before the entire real estate market crashed. He said stocks were in an even bigger bubble and would be the next to fall. Stocks crashed in late 2007, dropping a full 54%. Unlike the public who got slaughtered, attendees knew what to do. Gordon is that guy everyone wishes they knew, or could corner at a party and pick his brains!” — Tom M.
Why do 95% of traders and investors lose money over time? The fact is that cycles and patterns repeat themselves, over and over again. And not just in the markets, but in ourselves. We can't continue doing the same thing repeatedly and expect the outcome to be any different. Isn't that the very definition of insanity? So why do so many people continue to manage their money poorly? To give in to instant gratification?To fail to save, fail to eliminate debt and most important of all, fail to change their sources of information so they can determine where the truth lies for themselve? I'm not a psychologist. I can barely figure my teenagers out. But I do understand the key to successful investing. Want to know what it is? Glad you asked! I'm about to let you in on the #1 secret to all successful investing. You might what to write this down because it changes everything. In other words, emotion has nothing do to with it. Perhaps you feel paralyzed by so much conflicting economic news? Maybe you have an unhealthy relationship with money. Maybe the thought of managing your own money makes you feel overwhelmed and anxious. I understand, but that's all emotion. 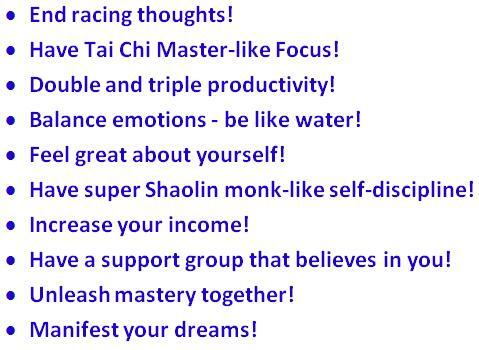 IF YOU LACK SELF MASTERY OF EMOTION YOU WILL LOSE MONEY!!! IT’S THAT SIMPLE! Many years ago as a young man it was me who was the deer paralyzed in the headlights. But the fact is, and I know this is harsh to say, absolutely nothing you or I ever feel, fear, guess, hope for, or worry about when it comes to our financial future will make us one thin dime. Not even a penny. That's because, at the end of the day, our money is either going to go up or down, and 100% of the reason why is based on math. Yes, good old math. And just 7th grade math will do the trick. You see, when you learn how to master the reason why money goes up and down; when you learn to control both reward and risk, you achieve self-mastery in your personal finances. And that's no different than achieving mastery in any other aspect of your life, from your health to your job skills. "I have spent 25 years in traditional school and was so impressed by Gordon's teaching that I felt compelled to write. His breadth and depth of knowledge on the subject matter and his ability to articulate and convey that information is a joy to experience." — Karl K.
Victim or Victor? How long are you going to be the victim? If you find yourself struggling with money... why is that? It's because you lack sufficient knowledge of the principles of successful trading and investing. So where do you learn these principles? Where do you learn how the 'system' actually works? You sure can't depend on the 'system' to tell you. Just six giant corporations control virtually 100% of the TV and print media in America. And many of their directors share directorships with the largest banks on Wall Street. Are they going to tell you the truth? Or are they going to sell you on the idea of staying fully invested all the time? Does your idea of growing wealth consist of going on a continuous ride with the markets? Or would you like to get off that bus and learn how to drive your own wealth creation vehicle? But maybe the thought of managing your own money scares and intimidates you? To gain knowledge and self-awareness we must each take responsibility for ourselves: for what we know, think and, most importantly for what we do. ▪ We can either be a victim of the economy, or we can become the master. ▪ We can suffer from the economy, or we can create our own economy. But first we have to admit to ourselves that we have given others power over us. To achieve success in wealth creation, we have to take that power back. "I received a greater education in monetary theory in a few hours than I did in years of public schooling." — Jeff H.
Are you willing to give up 8 hours of your weekend to revolutionize your understanding of credit, debt, money, investing and wealth creation? Are you willing to give up another 2 hours each week to keep refining that understanding? Or would you rather play golf and watch TV? Let me offer a quick analogy. There is a saying among natural health professionals that we 'dig our grave with a fork.' Not a very pleasant expression, but it's true. Every bite of food you put into your mouth either heals you or kills you. Likewise, how you manage each dollar that passes through your hands either impoverishes you or enriches you. Did you ever wonder how someone can earn $50,000 a year for 40 years, have $2 million dollars pass through their hands, and still end up broke? So where did the money go? Most people have no real idea. Attendees to Wealth Weekend come away knowing exactly where your money has been going. They also learn how to redirect cash flow to create a debt-free and prosperous future, perhaps even retire years ahead of schedule. 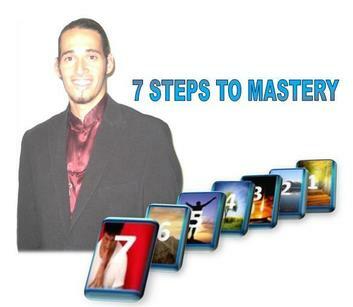 What Would It Be Like To Have True Mastery Over Your Finances? "Thanks so much for Wealth Weekend. As a result we are restructuring some of our spending habits and our debts to allow us to become debt free much sooner. I would highly recommend this class as everyone needs the information that was presented." — Ellen D.
Imagine if a process existed that would enable you to totally transforrm your finances, to feel a relaxed sense of peace and security about money, to finally have all the money you need by knowing how to make correct financial choices that don't depend on others, or on the 'system'. Don't worry what this process is right now... just take a minute to imagine what it would be like if all your money issues were behind you. If you didn't have to work for money any more. What would your life feel like in that new reality? No more financial struggles. All your debts be paid off. The weight of your finances taken off your shoulders. OK, so that feels great, right? But is it realistic? And with the economy in such a shambles, is it even possible? The answer?... Yes, it is very possible. That's where we come in. We specialize in the 'how'. To take control of your finances and totally transform your relationship with money. And it begins with Wealth Weekend. So What, Exactly, is Wealth Weekend..? • Why a lifetime of “easy monthly payments” isn't so easy! Why Didn't They Teach You This in High School? For that matter, why isn't it on TV? As for college, there is no college or university anywhere that teaches this. Wealth Weekend is an above-college level education in the mathematics of debt elimination, cash flow development and wealth building that you have to experience for yourself. We sincerely believe that if every family attended Wealth Weekend, this still-worsening economic Depression would cease to be a problem. If within 30 days after attending you aren't totally blown away by what you learn and honestly feel that you didn't get your money's worth, just ask for a refund and it's yours. But our guarantee doesn't end there. If over the course of the next year (yes, this is a one-year program... see details below), you can request a pro-rated refund right up until the last day. We're that confident that not only will you value what you will learn far beyond the cost of attending, you will want to tell everyone you know that they need to attend Wealth Weekend too! (see our Partners program to see how this can benefit you). Over the course of 8 hours (4 hours each day, Saturday/Sunday), this one-of-a-kind live webinar will empower you to rapidly become debt-free, to accelerate cash flow, to grow wealth scientifically, and to retire far sooner than you had ever thought possible. Your ongoing education, coaching and support continues with 48 weekly interactive member sessions each year. Each 2-hour Wealth Meetup held on Wednesday evening from 8-10:00PM EST. Each sessions is video recorded for your convenient 24/7 playback and review. 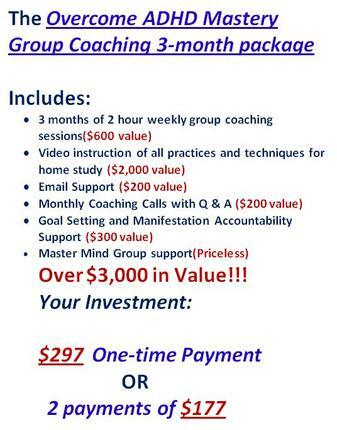 Combined with Wealth Weekend, this comes to 104 hours of personal wealth coaching in a single year. There simply is no value like this anywhere. As a member of the Institute you are entitled to use our WealthMatics automated investing software in a live account, prepaid for one full year. This proprietary, custom designed software trades for you in a live Forex (currency) account as has the potential to deliver returns that must be seen and understood to be appreciated. Suffice it to say that no bank CD could even come close. Just as a medical MRI scans your body for areas of concern, your Wealth MRI (Monetary Reality Imaging) scans your entire financial life for areas of concern, providing you with a snapshot of your financial world that goes far beyond what you would expect to receive from a typical financial advisor. With a retail value of $295, Wealth MRI is yours FREE when you pay a year head for membership. So What Will This Cost You? What would you pay for automated investing software with the ability to transform your finances? $1,000? Software like this goes for as much as $5,000. What would you pay for an experienced currency trader and private wealth coach to spend 104 hours with you? At $100 an hour this would cost you $10,400. At $150 an hour it would come to $15,600. What would you pay for a full-spectrum analysis of your entire financial profile? What would a registered advisor charge you for such a complete write-up (assuming they even offered anything like this)? $1,000? $2,500? On high side the above services come to $23,100. On the low side they come to $12,400. We charge just $947 for an entire year of membership in the Wealth Weekend Institute, plus 104 hours of live coaching and instruction, plus WealthMatics for a full year, plus your own Wealth MRI. "I wish the generation before us had educated us to this... thanks for sharing... this seminar is so encouraging... wow!!!!!... this is too amazing... a FANTASTIC SEMINAR ... thank you." — Jeanne G.
Because of what I do for a living, I digest boatloads of background news and information on the economy each day that goes a whole lot deeper than the fluff you see on TV. Frankly, if the public knew what's really going on beneath the surface, they wouldn't get out of bed in the morning. None of the problems that caused the financial crisis of 2008 have been solved. In fact, they're all far, far worse. The amount of debt wracked up by the federal government during the Obama administration exceeds that of all the presidents since George Washington combined. This vast and grotesque experiment in paper money creation is going to end badly. And when it does, America is going to look a lot like those other countries you see on TV, with unemployment pushing 50% and riots in the streets. If you don't believe me — if you think I'm over the top and off my rocker — just wait. The financial chickens will come home to roost. And if you're not prepared, you could see any prospects for a sound financial future erased. I encourage you to start making changes today. You don't have to be a victim of the economy. You can create your own economy. If you don't work with me, that's fine. But do something! Because my research tells me that there is going to come a day when, if you don't, you may not be able to do anything. And I'd hate to see that happen. Enroll in Wealth Weekend today. You'll be glad you did. And if you have any questions at all, or would like to schedule a private phone call to discuss your situation, don't hesitate to get in touch. You can email me at gordon(at)wealthweekend.com and I;ll get back to you within one business day.